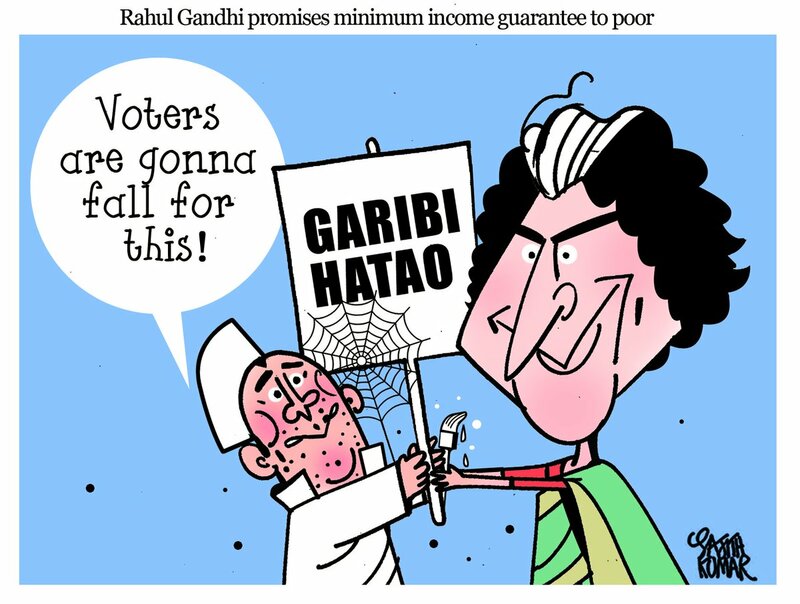 After Congress president Rahul Gandhi’s announcement that his party will ensure minimum income guarantee for the poor if voted to power, Sajith Kumar suggests Rahul is expecting mass support by re-working Indira Gandhi’s ‘Garibi Hatao’ slogan into a scheme. 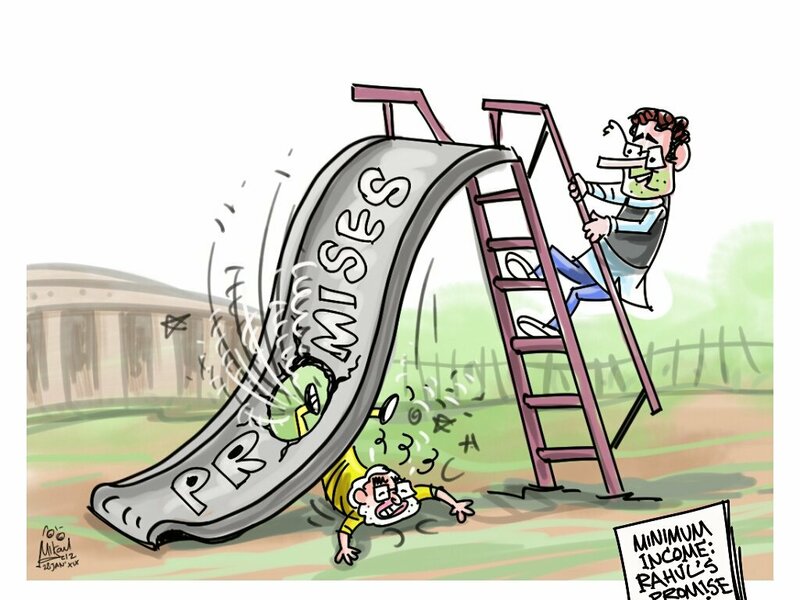 Mika Aziz illustrates Congress president Rahul Gandhi heading for the same fate as Prime Minister Narendra Modi who fell over his face with over-ambitious promises. 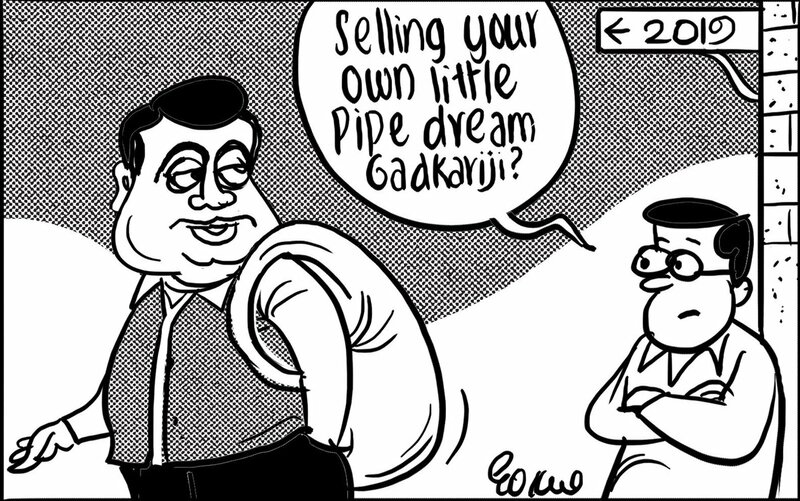 Taking a jibe at Union Minister Nitin Gadkari for his comment that politicians who fail to stand up to their promises are likely to get thrashed by the public, Gokul Gopalakrishnan alludes to Gadkari’s aspiration for the Prime Ministerial chair. 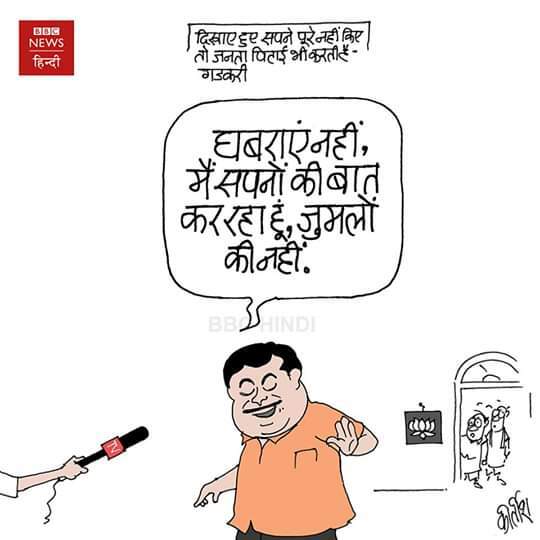 Highlighting the same Gadkari comment, Kirtish Bhatt suggests the minister who maintained the ambiguity of his statement by not naming any politician was actually pointing at Prime Minister Narendra Modi’s ‘jumla‘ politics. 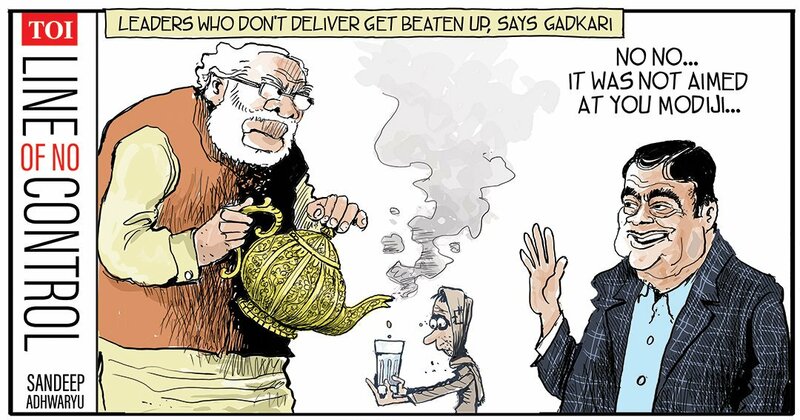 Sandeep Adhwaryu also weighs in on Nitin Gadkari’s comment, illustrating PM Modi’s fuming tea-kettle that barely has a drop to offer. 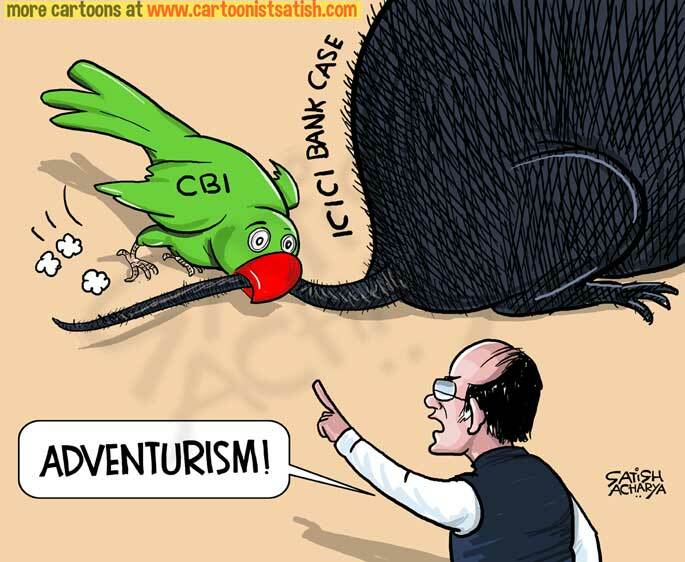 As the caged parrot takes the ICICI Bank mole by its tail, Satish Acharya illustrates Finance Minister Arun Jaitley’s ‘adventurism’ comment. 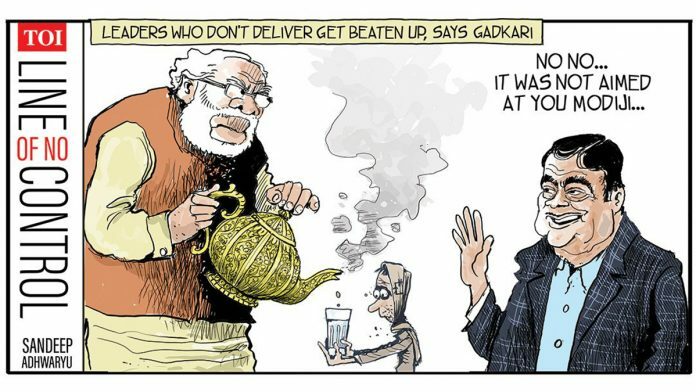 Irfan takes a dig at the drama unfolding in Karnataka after chief minister H.D. 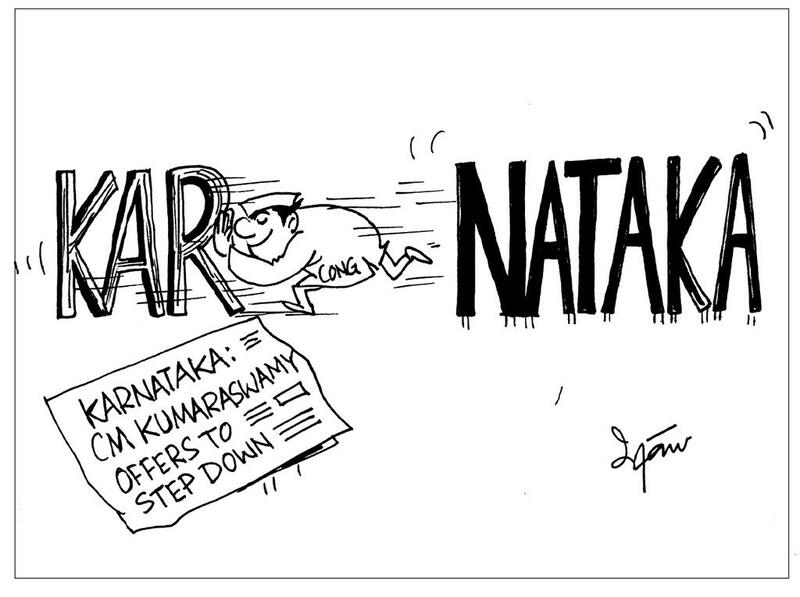 Kumaraswamy offered to step down if the Congress failed to control its legislators and MPs from criticising his methods. 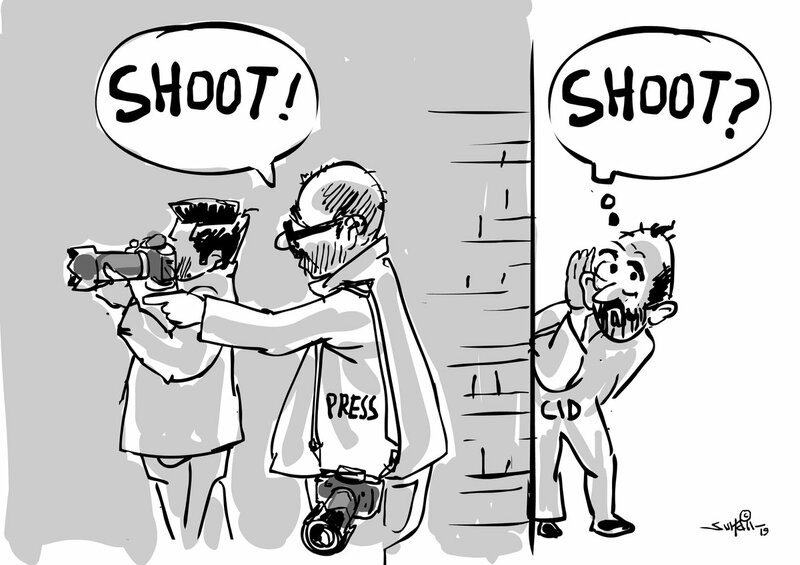 Suhail Naqshbandi illustrates the threat to media freedom in Kashmir after journalists were barred from attending the Republic Day event at the Sher-i-Kashmir stadium over ‘adverse verification reports’.